The Bankable Feasibility Study is currently underway and scheduled to be completed by September 2018. This will provide the economic information required to finance the project. It is being managed by Wave Engineering, a highly regarded mineral sands engineering consultancy. 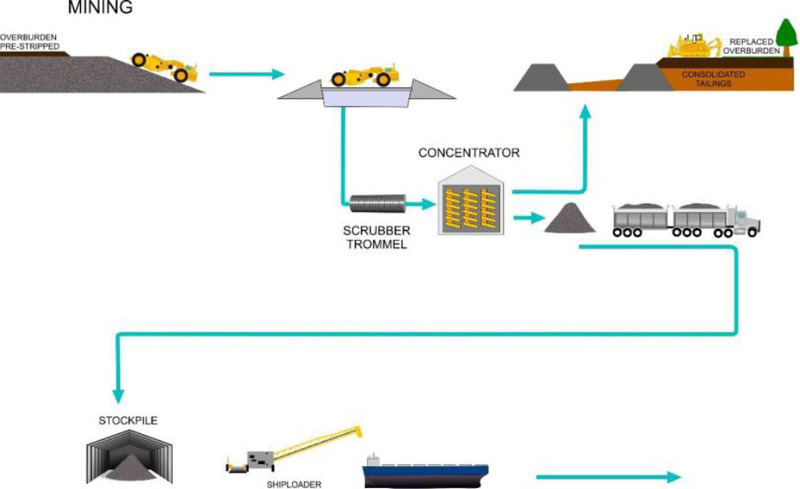 We are studying a concentrate export operation as shown in the diagram below. 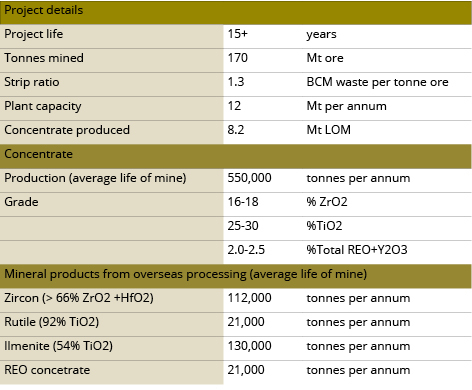 This is different to the conventional mineral sands business model where the concentrate is further processed to produce finished minerals of zircon, rutile, and ilmenite before shipping. With our approach the concentrate is shipped to a third party Asian Mineral Separation Plant which then separates the concentrate into its finished minerals. This approach reduces capital and operating costs, decreases approvals complexity, improves marketability, targets the strongest market segment and enables the sale of rare earths. Kalbar has formed strong alliances with strategic concentrate processors in Thailand and China.